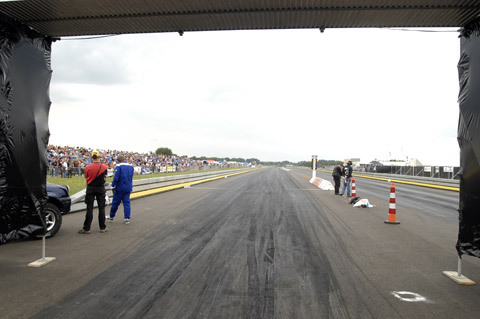 Over the last week-end, Danny's Racing Team attended the Dutch Dragracing opening event at the new strip in Drachten, Holland. We were really surprised with the excellent changes that have been made to the track, which now looks like some real fast times will be possible in the future, and a beautiful location for the drivers as well! There were grandstands for the public and the organizing Explosion Team was very professional! 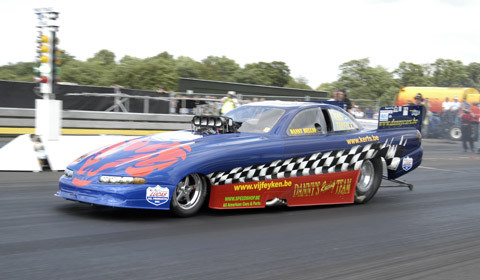 Because weather issues prevented us from testing the new engine on a prepared track so far this season, we were glad to get the funnycar out for a few testruns on the track at Drachten! We really want to be ready for the second round of FIA in Finland next week! The first run on the new track showed way too much wheelspin, and a 5.7s on the 1/8 mile, after clutch adjustment by Sandro a 4.5s appeared on the clocks. Further adjustments got us to a 4.23 sec run on Sunday morning, and in the Sunday afternoon run with lots of headwind a time of 4.29 was run, which is consistent compared to the 4.23 earlier. The track of course needs to mature, but we are confident that we will be able to make a sub-4 second run in the near future at this lovely strip. We are sure a lot of international teams will find their way to Drachten in the future, and of course we will be happy to attend future events as well. Thanks for all the cheering and support, see you all back in Drachten! 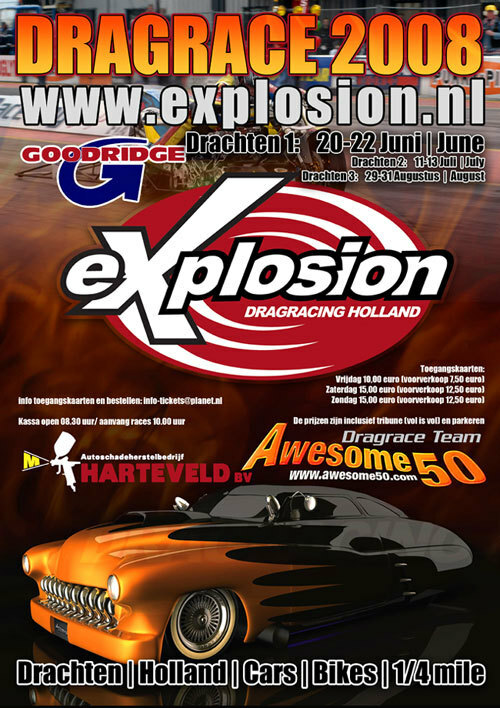 We are happy that we can race at Drachten this year. We hope to do some good testruns on the 20-21-22 of June to get our car ready for the next Fia race in Finland. Hope to see you all there! !